In this tangled world, what is there other than the friend? 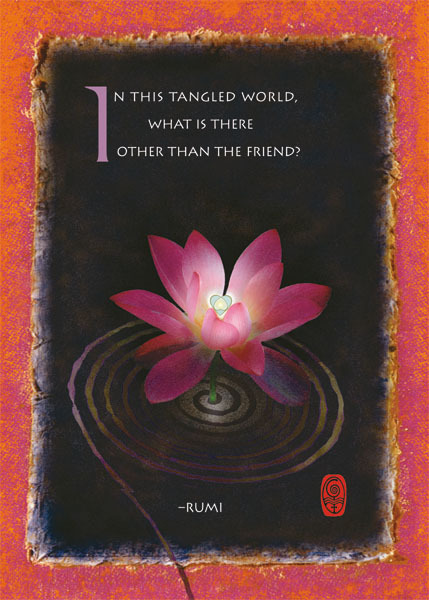 This card, with the poetry of Rumi and the art of Michael Green, is 5" x 7" and blank inside. Cello wrapped with envelope. Text from One Song, The New Illuminated Rumi, published by Running Press. An Illuminated Rumi 2018 wall calendar will be available from August 2017.